Brodie is in rescue because his human broke his hip and is no longer able to properly care for him. Brodie is friendly with just about everybody human and canine, including children. Brodie is crate trained and well behaved in the house. He does well on leashes and loves the car, which is good news because he enjoys walks and hikes. He knows basic commands and is a really good listener! Brodie has been known to jump and has escaped from time to time, but he is not a digger. 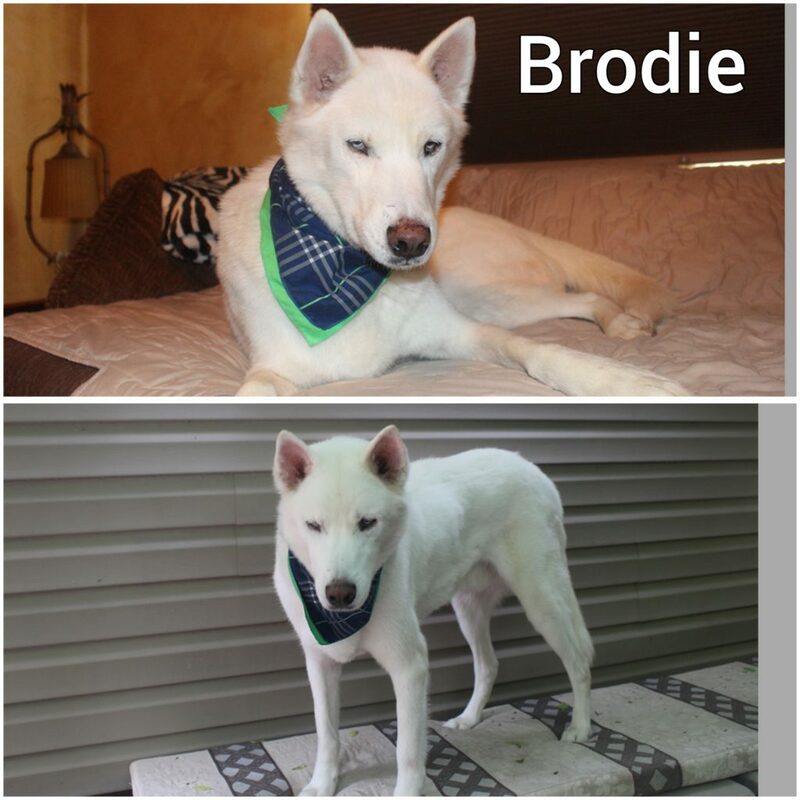 All in all Brodie is a fabulous guy who would make a great addition to any family! And did we mention that he likes to talk?? Yes, this boy loves to talk! So if you are a good listener, he will definitely talk to you a lot!